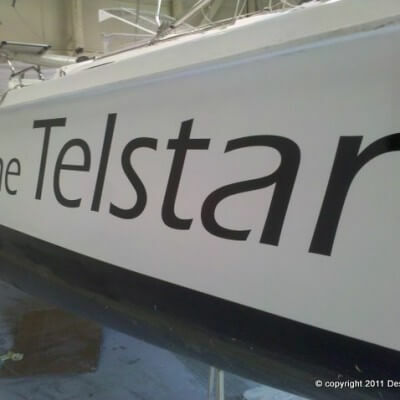 Custom boat name for the Telstar! 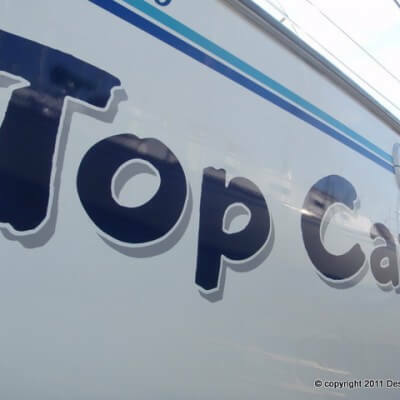 She’s fast. 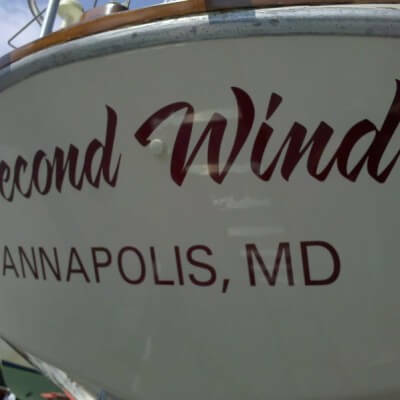 Sometimes simple lettering will do just fine. 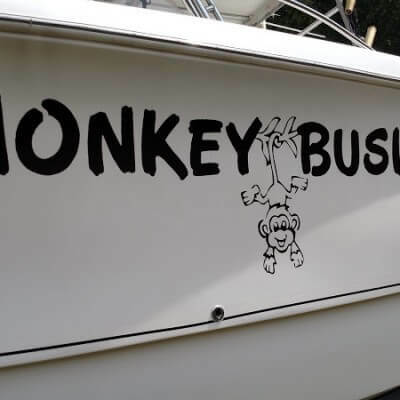 Once color, a nice font, and you’re ready to go! 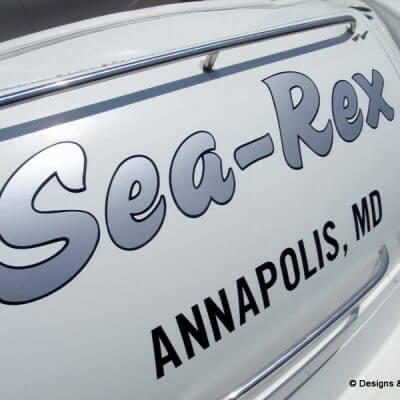 Need a Custom Boat Name? 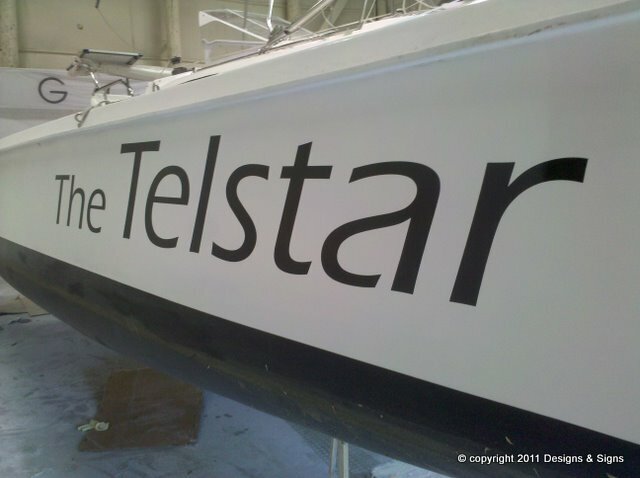 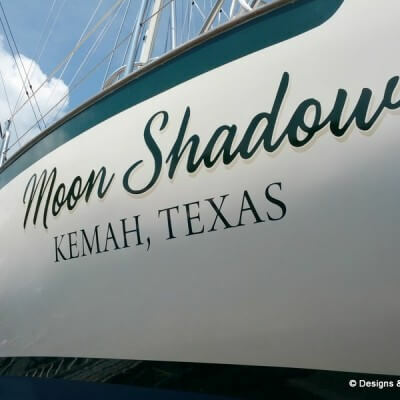 A premium vinyl custom name installed on a Telstar Trimaran at Performance Cruising in Annapolis, Maryland. 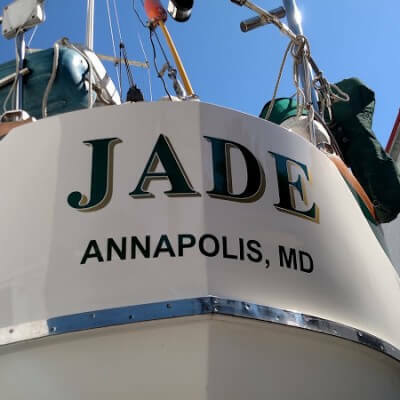 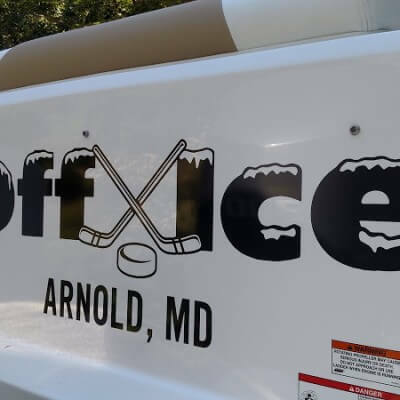 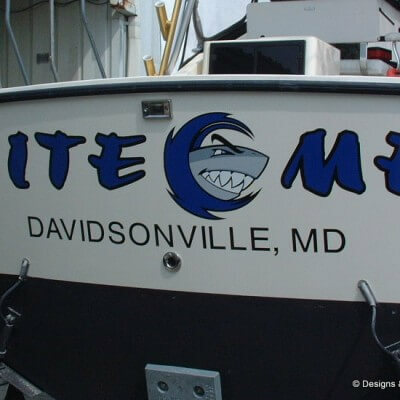 Designs & Signs creates and installs the most attractive custom boat names in the Annapolis area. 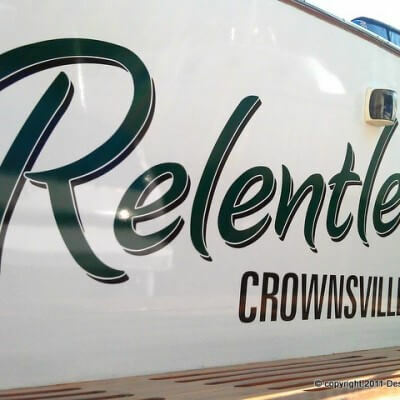 When it comes to your next boat, don’t settle for less. 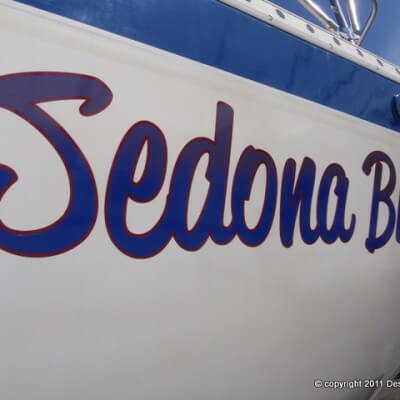 Make a splash this season. 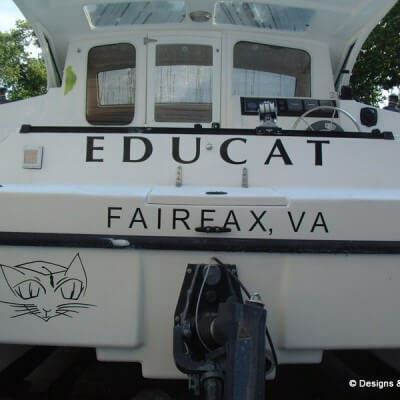 Let us design a great boat name for you! 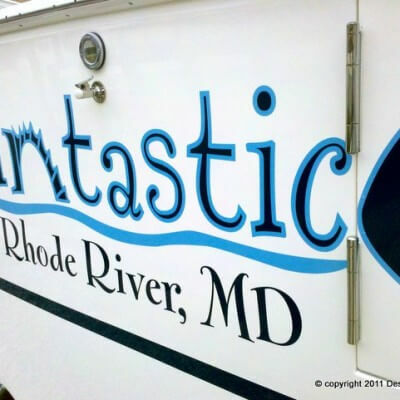 Please take a moment to review our website! 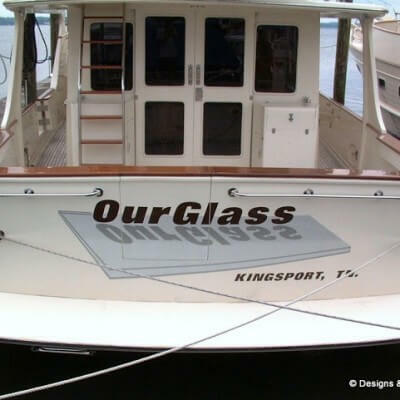 What about QUARTERBOARDS and LIFE RINGS? 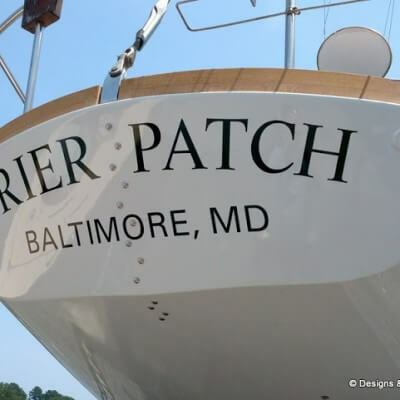 We make hand carved quarterboards and personalized life rings with gold leaf lettering too!